It's free printable Christmas image day! A bunch of us have got together to create images for you to print out and use in your own homes this season. Nothing beats free, and I love how everyone gets super creative with this. 12/25 gift tags and art. This year I went a bit whimsical with my printable for your kitchen. If you have a coffee nook, a baking station, or just extra room on your counters, this one will be great for you! I printed mine out super small and put it in a petite gold frame, but you can certainly print yours out to any size. You could even print these out and use them as gift tags if you are giving a hostess gift or a plate of holiday cookies. I think it looks sweet nestled in with some candy canes and vintage ornaments. 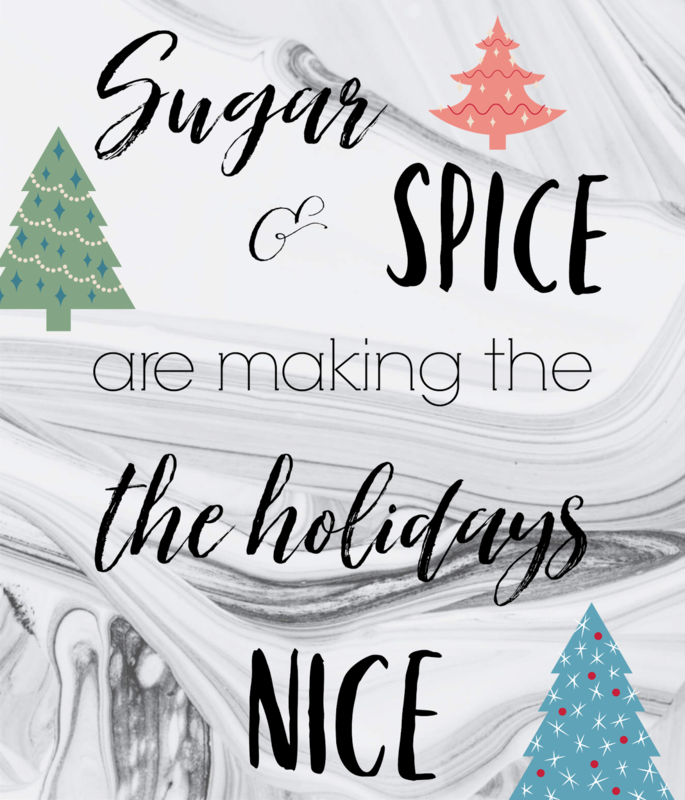 I to believe that sugar & spice are making the holidays nice. If you agree, simply copy and paste the image below onto a word document, print out and display! I hope you found this printable suitable for your decor this year! Let's take a look at all the different free Christmas printable images below. I could hang out in your coffee niche. Love the way you decorated it. So simple, but stunning. 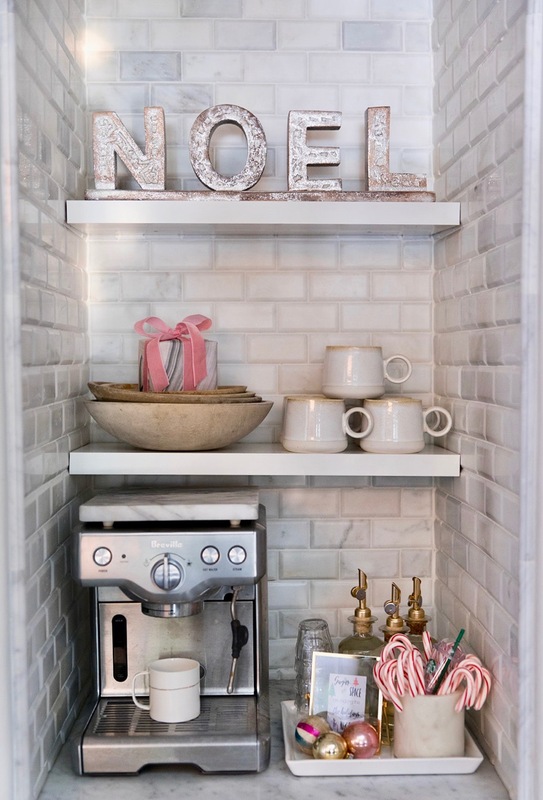 Beautiful printable and I love your coffee niche!